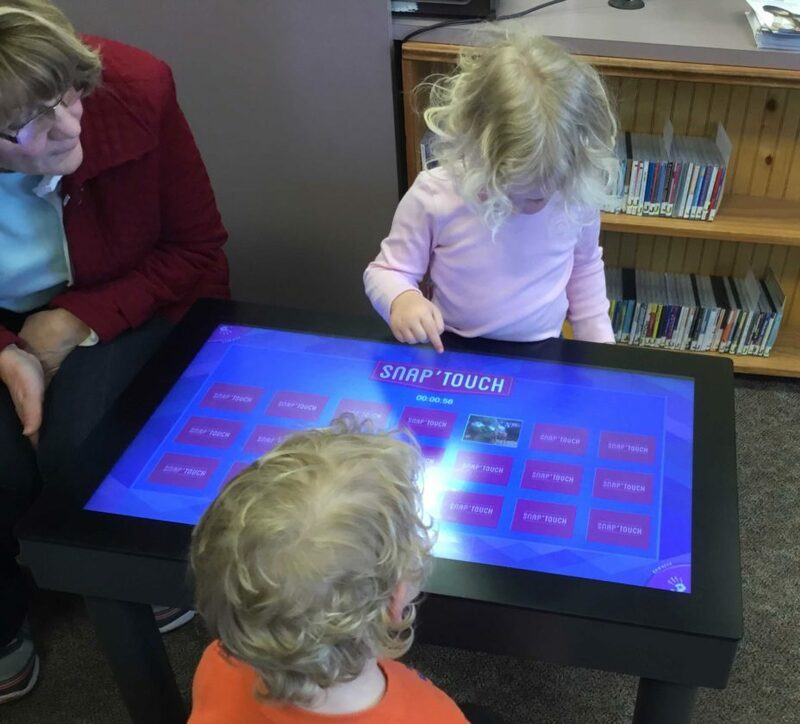 Patty Rose, left, Max Buck, and Lily Buck explore the new interactive games table at the Dickinson County Library. The table was funded by an anonymous donor, and the library wishes to thank everyone who supports their mission in our community. the Dickinson County Library in Iron Mountain. During the fall of 2017, a library patron visited the library and inquired of a “wish list” of desired items for children’s services. Library staff considered a wide array of items which support the mission of the library and selected PLAY – an interactive game table for addition to the children’s room. The interactive table comes bundled with games in a variety of levels which promote literacy, hand-eye coordination, and collaboration. There are 12 games to choose from, inviting parents and caregivers to spend quality time with their children learning as they play.